The first thing that came to me when I sat down at the piano today was Jingle Bells, but probably not the way you’re used to hearing it. I decided it is very illustrative of my mood this morning, so why not share it for everyone to hear!? Isn’t it interesting that the harmony seems more lively (and not as "depressing") with the bass and percussion added? Given what you hear, how would you describe my mood this morning? I have a ton of charts to do and lots on my plate right now – time to get to it already! Late last night I realized, you can’t arrange a song like this and omit an entire section! LOL Anyways, I sat down at the keyboard again last night and decided to complete it and write the bridge as well. Here’s just the piano: Jingle Bells v2 – Piano and then with bass and percussion: Jingle Bells v2 – Latin. Oops, I did it again! (LOL) I just realized that I truncated the bridge section, so I just had to edit the file and re-upload it once again. it’s the same as version 2, except the bridge repeats twice. Here’s just the piano: Jingle Bells v3 – Piano and then with bass and percussion: Jingle Bells v3 – Latin. 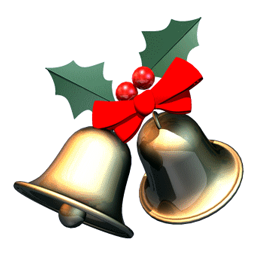 Jingle Bells… [Updated x2] was published on Monday, July 26, 2010 at 12:45pm EDT by Daniel Menjívar and last updated on April 11, 2018 at 9:30pm UTC .